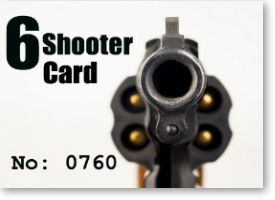 With the Six Shooter card you'll be able to prepay for 5 visits (at a reduced price), and get the 6th lane free. Perfect for a gift idea, or if you don't shoot all that often. Our cards don't expire so they'll be good all year around!